When most people think of bookkeeping and reconciliation they think of bank accounts. 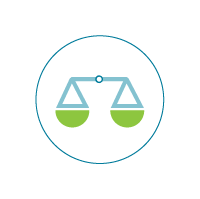 We ensure that all of your relevant balance sheet accounts are reconciled before every BAS. That includes GST, payroll including PAYGW (employee taxes withheld), chattel mortgages for equipment, your ATO Integrated Client Account (BAS account with the ATO), clearing accounts, prepaid expenses, accrued expenses and others. This ensures that your financials are constantly up to date and accurate and it will make life easy for your external accountant at tax time.